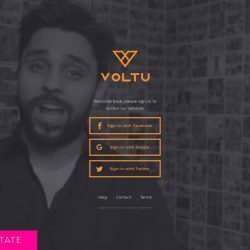 VOLTU, the new platform by mobile marketing giant glispa, aims at successful influencers and content creators on social media. 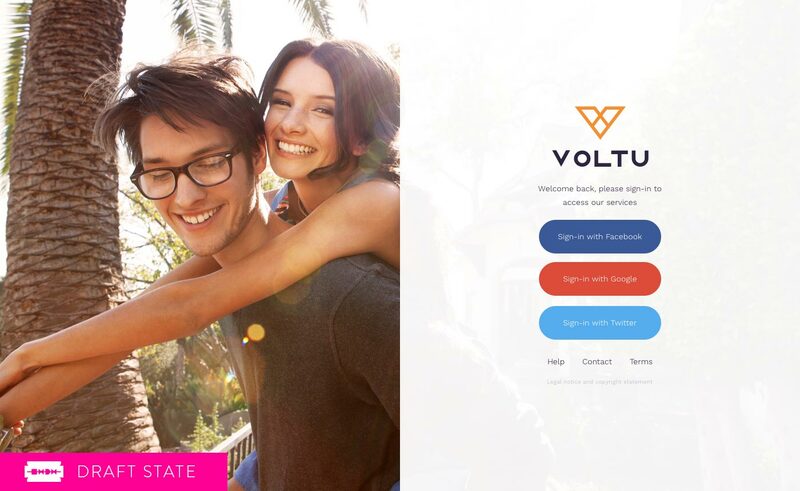 With VOLTU, they are able to monetize their posts with ease. 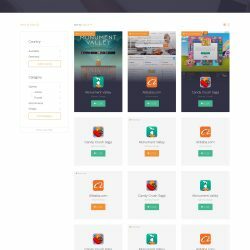 MNDN was responsible for all stages of the project, ranging from branding and concept work through the complete UI and UX design all the way to the frontend development. 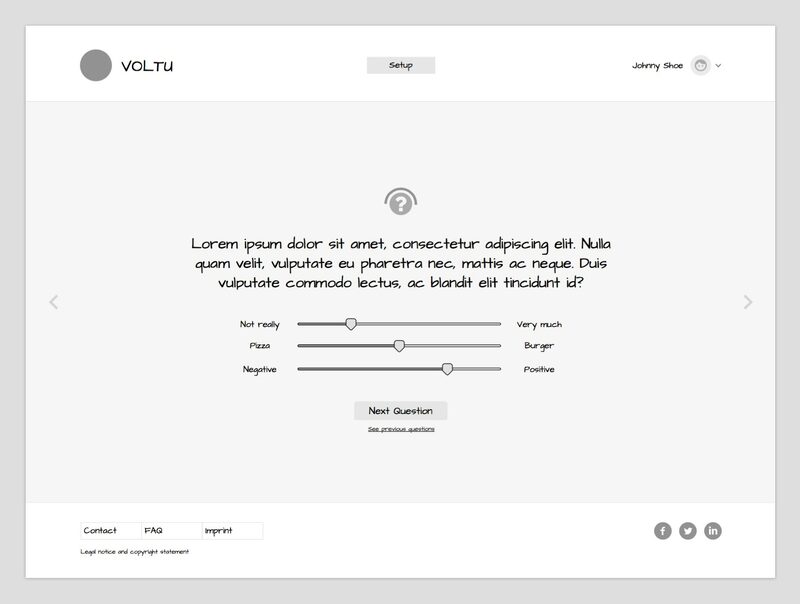 Briefing materials were quickly examined – a VOLTU logo was all glispa provided when approaching us with the project. 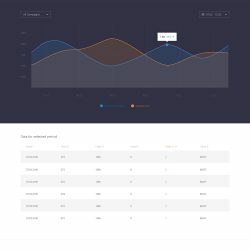 In close dialogue with our client, we started by experimenting with different moods and keeping our target group in mind, opted for a clear, masculine and tidy interface. 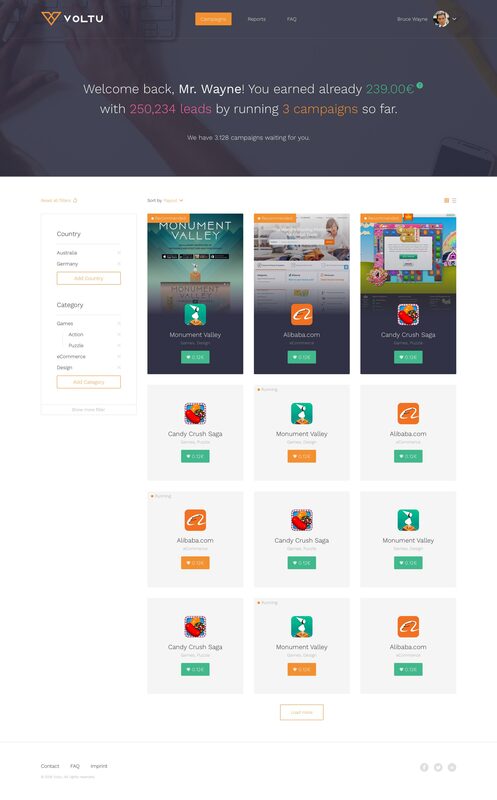 This was expanded into a complete design language, laying the foundation for the parallel development of marketing materials by glispa’s marketing team. 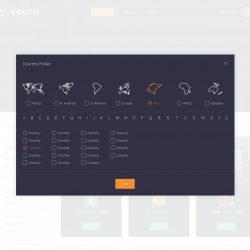 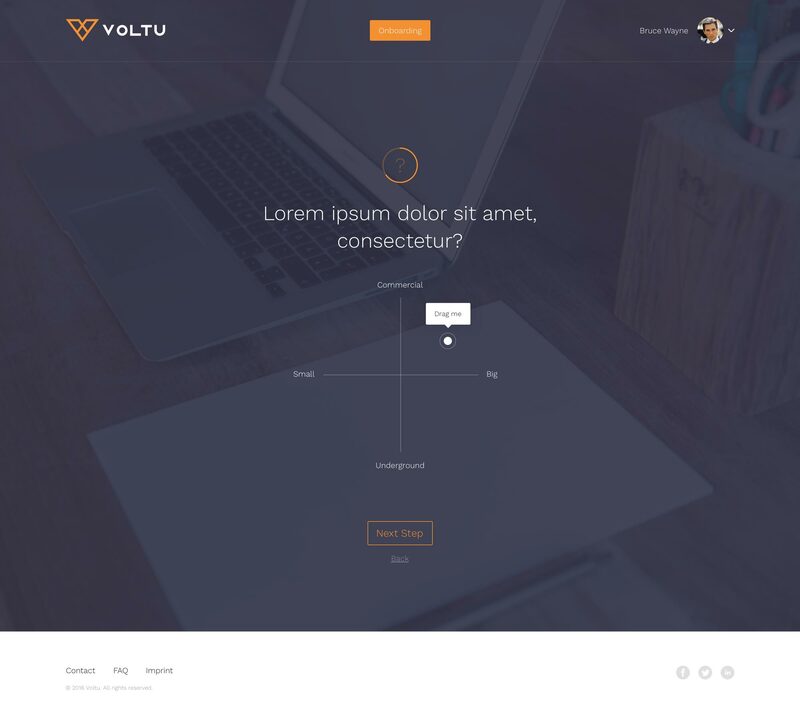 To provide their users the most relevant campaigns, VOLTU needs to start off by getting to know them – for this purpose, the system goes through a series of questions during signup. 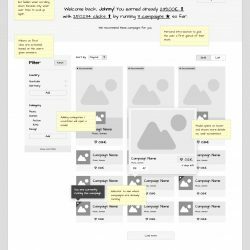 Confronting the user with a long form and countless text fields would be the wrong path to take – the onboarding process needs to be friendly and captivating. 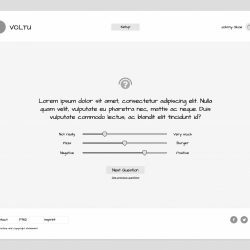 We opted for introducing creative input methods like sliders and XY pads, controls fine-tuned to the information inquired. 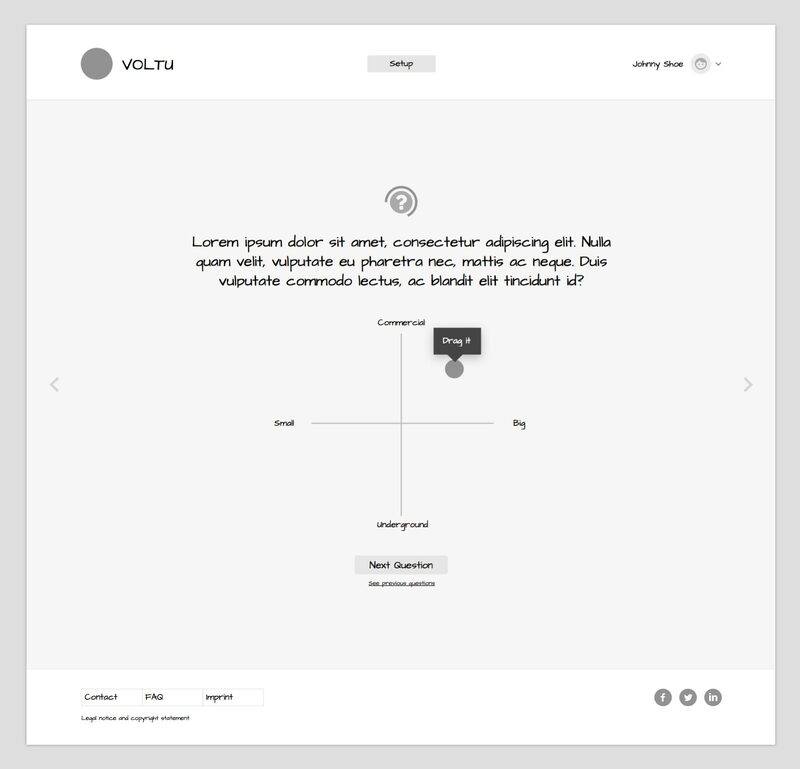 The result is a playful, step-by-step signup experience. 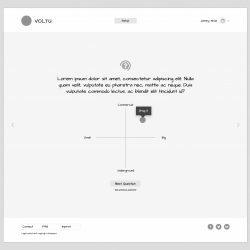 After signup, VOLTU awaits the user with its most important view: the campaign selection. 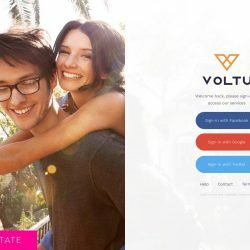 Under a personal greeting and mini performance overview, VOLTU suggests campaigns specifically tailored to the influencer and their followers. 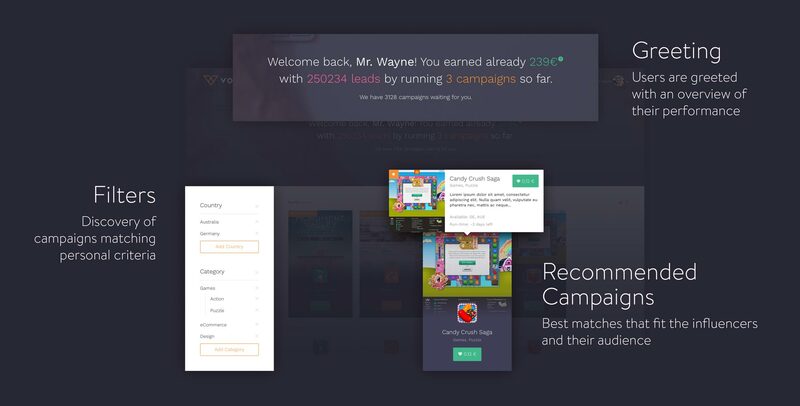 The best matches are clearly emphasized, enabling the user to get started running a campaign without lengthy searches. 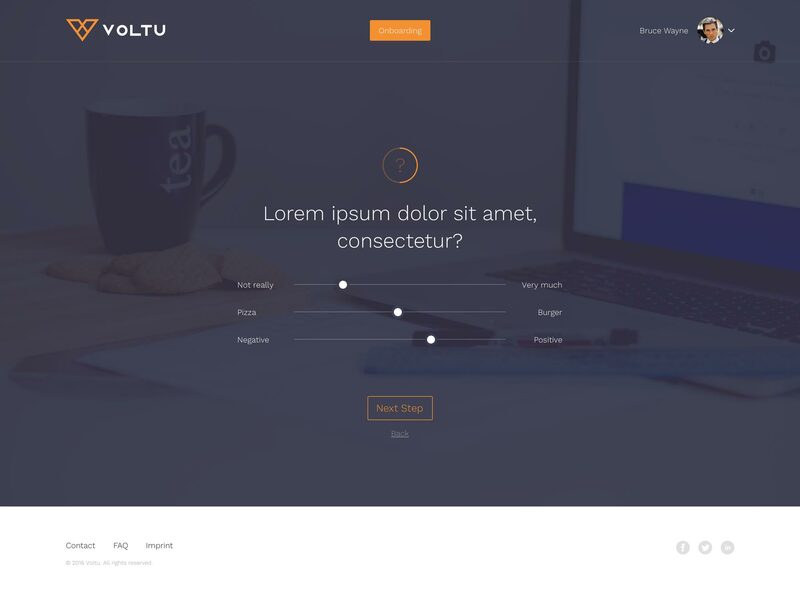 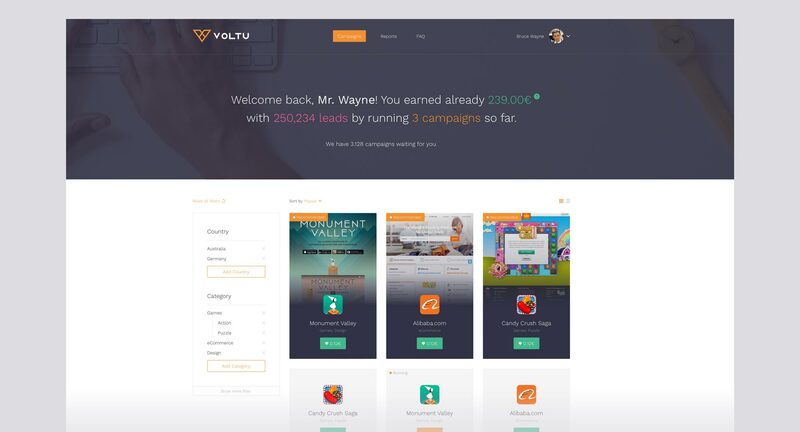 VOLTU’s UI presents campaigns currently run by the user, as well as further suggested campaigns side by side. 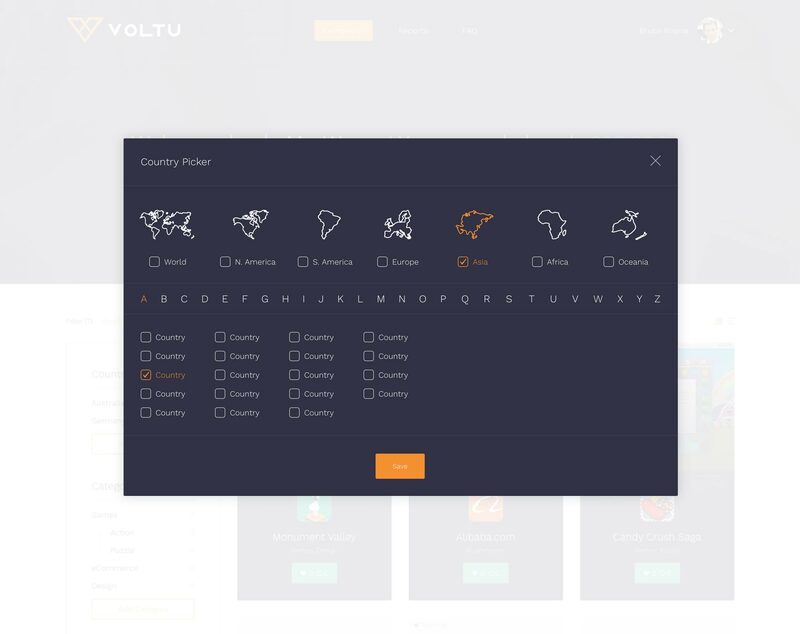 We developed a system of clear color codings, making the campaign status easily recognizable in all parts of the UI. 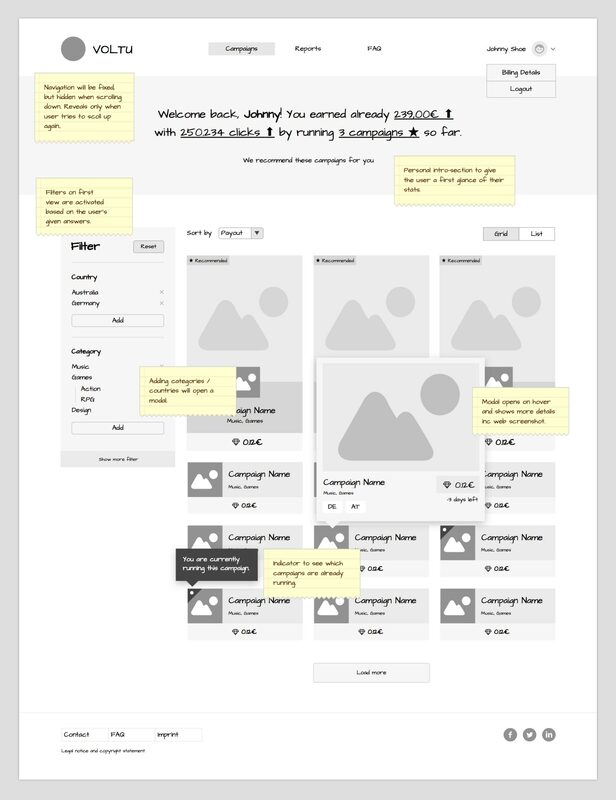 This applies to the campaign selection entries, as well as the campaign pages themselves. 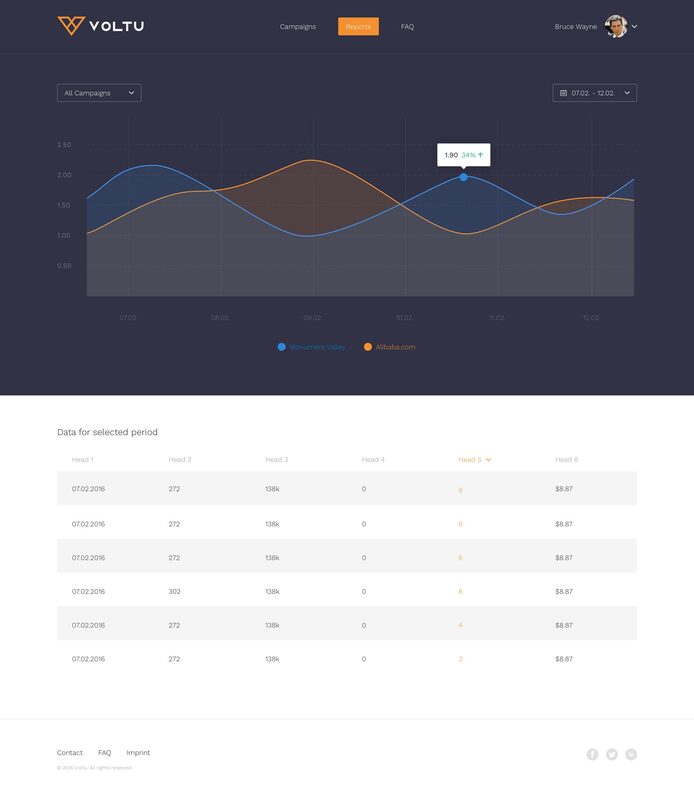 Even though we were responsible for the entire frontend development in addition to designing the interface, we left glispa well-equipped for the future by providing them with an interactive style guide. 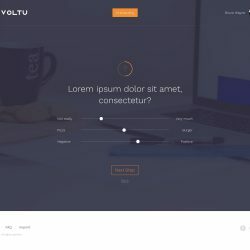 UI elements with all of their properties such as position, color, font, etc. 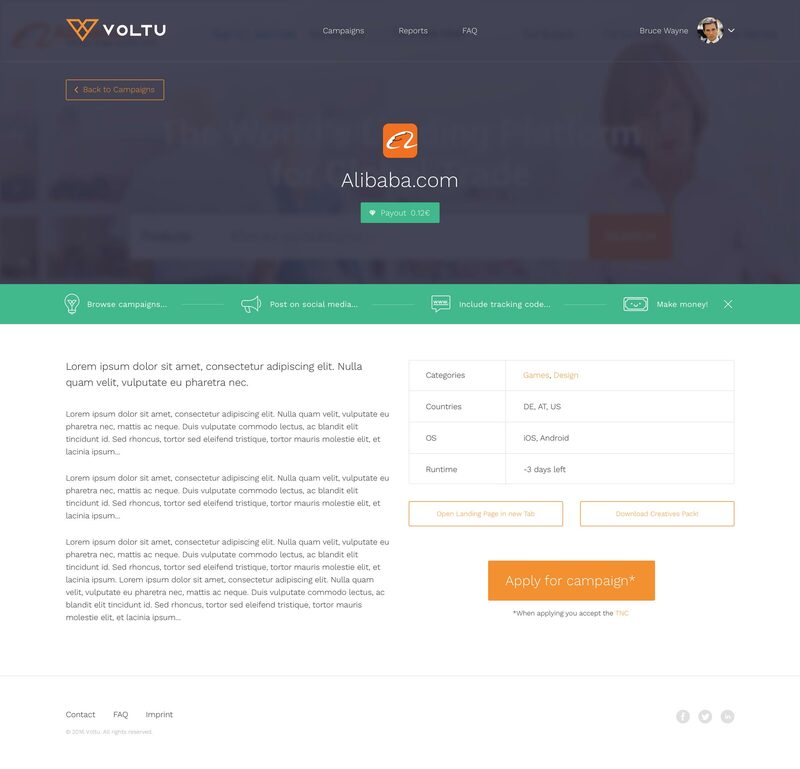 can be individually inspected and exported to all formats if needed. 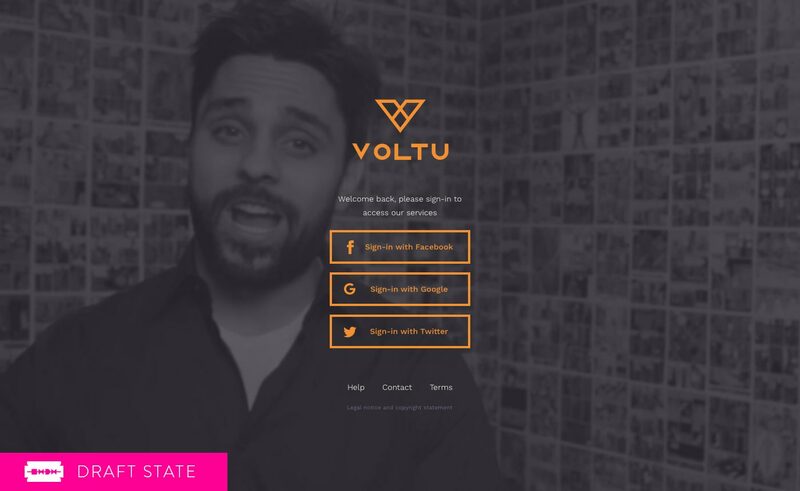 What makes VOLTU special is the fact that it aims directly at influencers and content creators. 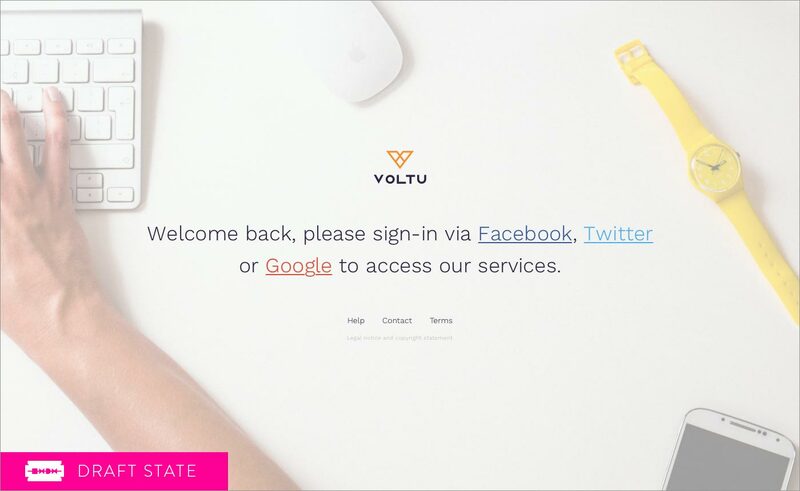 With a captivating onboarding experience, personalized suggestions and a straightforward campaign management interface, we cater to their specific needs and expectations. 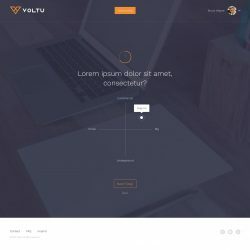 We delivered a complete package ranging all the way to the frontend development, and additionally provided our client with tools to efficiently continue developing their product. 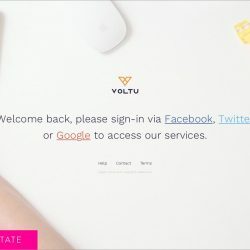 VOLTU is rapidly picking up pace and is accepting registrations!